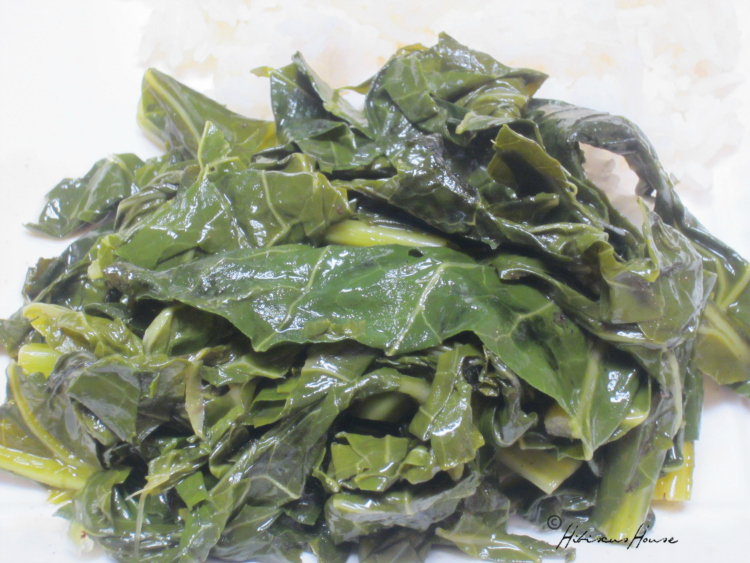 So many ways to cook collards and it seems as if my mother, grandmothers, mother in law all did them a little differently. Tomorrow is the beginning of a new year, can you believe it? Amazing how quickly a year passes by! 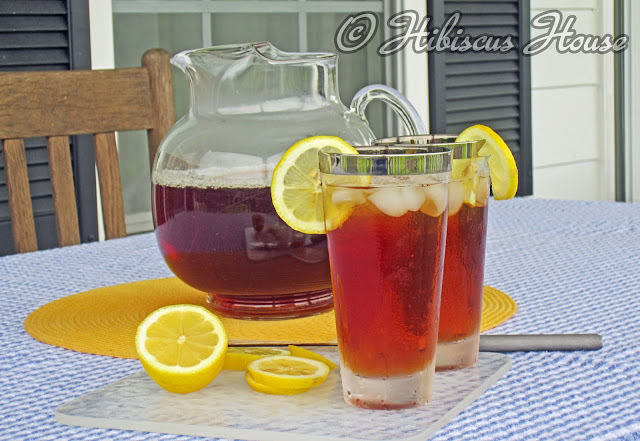 There will be no surprises in our menu tomorrow it is a Southern Tradition to have certain things and there is a history behind why we have them. Do you have your greens ready to cook? It all began with the Civil War. 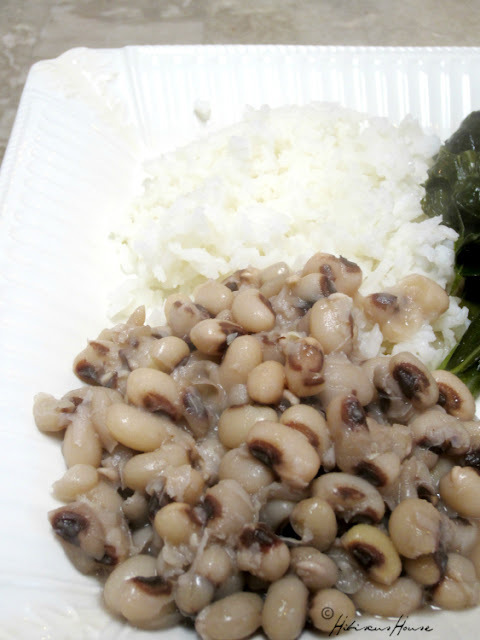 The greens collard, turnips, mustard greens were in season and the black eyed peas have a history. Union Gen. William T. Sherman decided not to burn the bean fields because they were considered only good enough to be fed to animals. The greens had the meaning for money dollars, the black eyed peas stand for coins, pennies. The pork which we sometimes have thanks to my mama Dot is hog jowl. Yep The hog can't turn his head backwards, always looks forward which symbolizes looking forward not backward in the new year! Cornbread symbolizes gold. I read some of this in an article by Tony Melton. 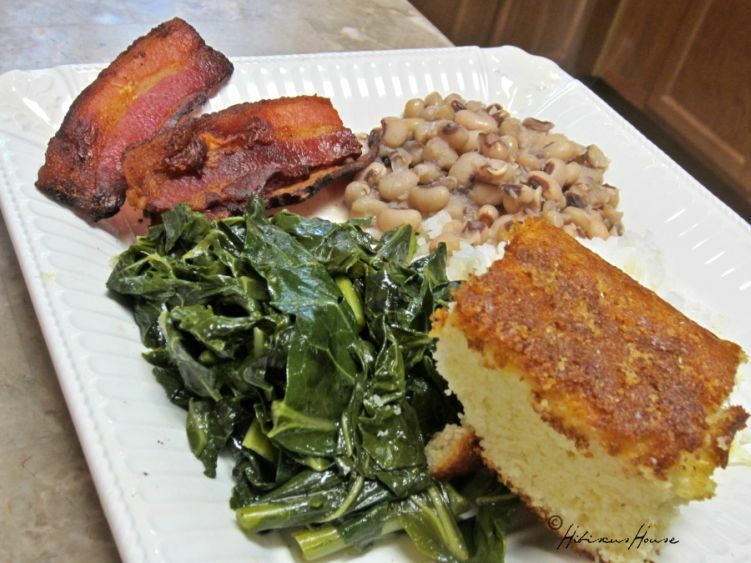 I didn't know about the cornbread but sure heard about the greens, peas and pork from all of these relatives. I knew we always had cornbread but didn't know there was a history behind it all. Grow your own or buy locally grown if possible for better taste. Be sure to get them after a good frost for best flavor. 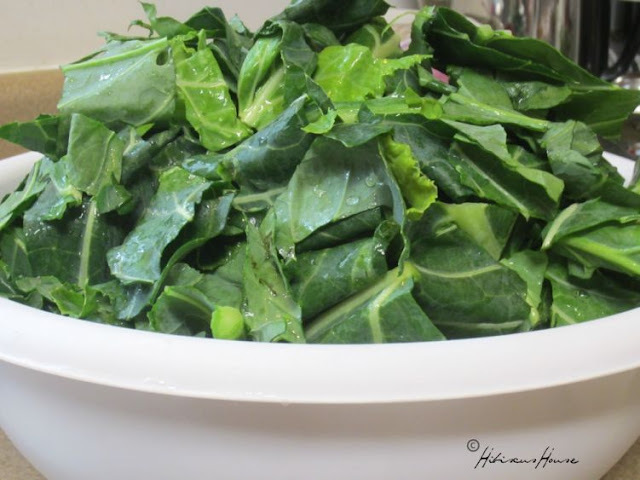 Place collards into a sink full of cold water. Sprinkle some salt into them, and let sit there for a few minutes. Grandma said this removes any bugs and it does it works. Rinse and if dirty put through another wash without the salt this time. 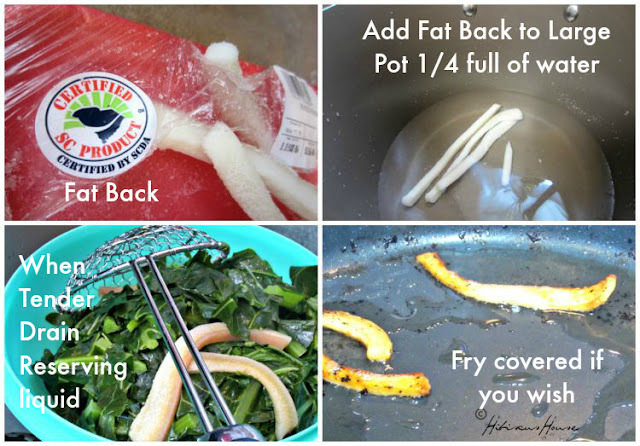 Put a few pieces of fatback into a large pot with bottom 1/4 filled with water. Add 1 tsp. salt. Bring to a boil, turn heat to simmer cover with lid. 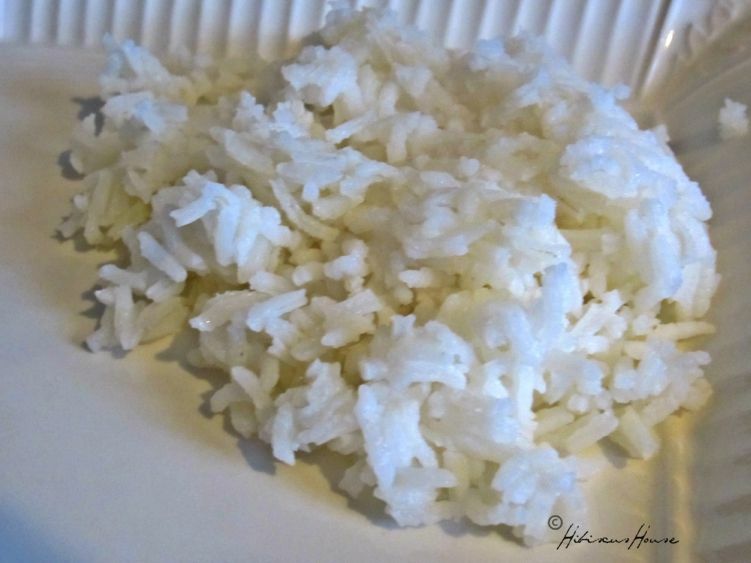 It is alright to cook this for awhile it won't hurt and will only add flavor. Roll leaves and Chop into small pieces about 2 inches wide removing large tough stems. You can chop the more tender stems small enough for them to cook tenderly and I like them. My mother in law Genolia removed all of the stems and that is good too but I use them in mine. 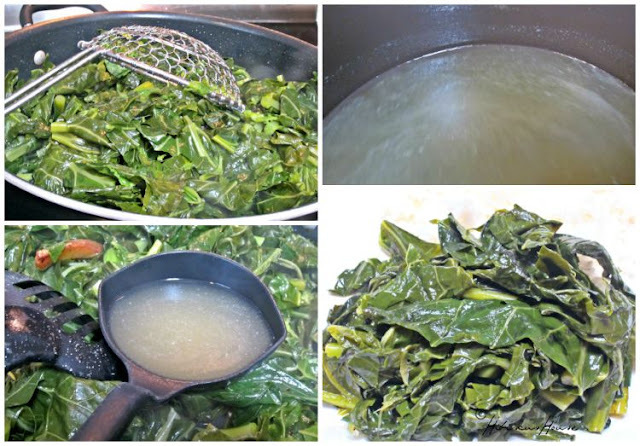 Bring water back up to medium high slight boil and start adding your collards. Don't let it frighten you if the pot is full and you have more because they cook way down. Cover then come back few minutes add more and stirring new leaves into pot and somewhat lifting cooked ones up slightly. Do this until all of your greens are added to the pot. Cover and let cook until tender. 20 - 40 minutes or so. Check with fork to see how tender they are. Drain saving some of the liquid (pot liquor it is called) You may want to add some back in when you get to the second step in cooking. Bacon, do you like bacon? I sure do! 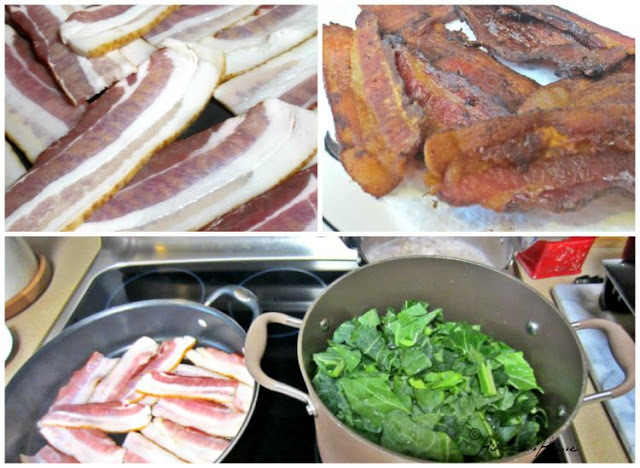 Ok while cooking your greens you can in a large frying pan, cook your bacon. I cook a lot because we like to eat it and you can drain some of the fat from the pan if not needed. 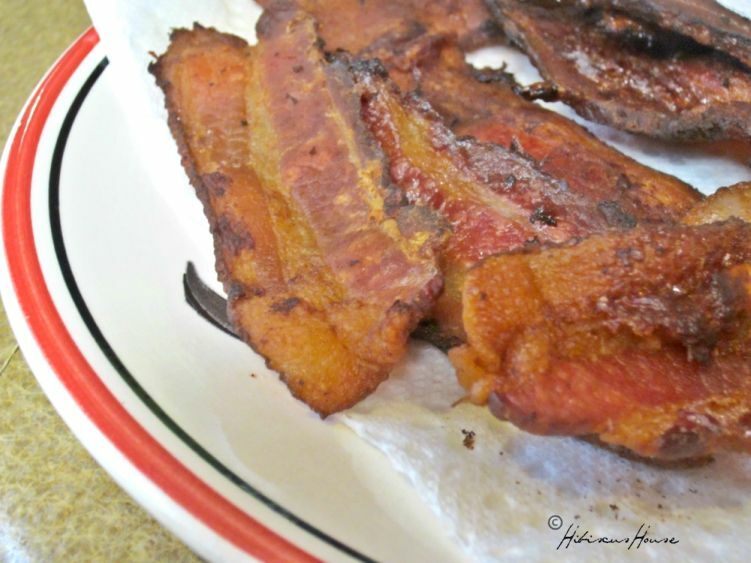 If you like hog jowl it can be sliced like bacon and cooked in same manner. It takes about twice as long to cook. I think it is a little like bacon and fat back put together. It is tougher than bacon but very good. The grease from either of these can be used in an iron frying pan if you can use one to cook the collards down and flavor them. Keep enough of your bacon grease in your pan to cover the bottom pretty good. 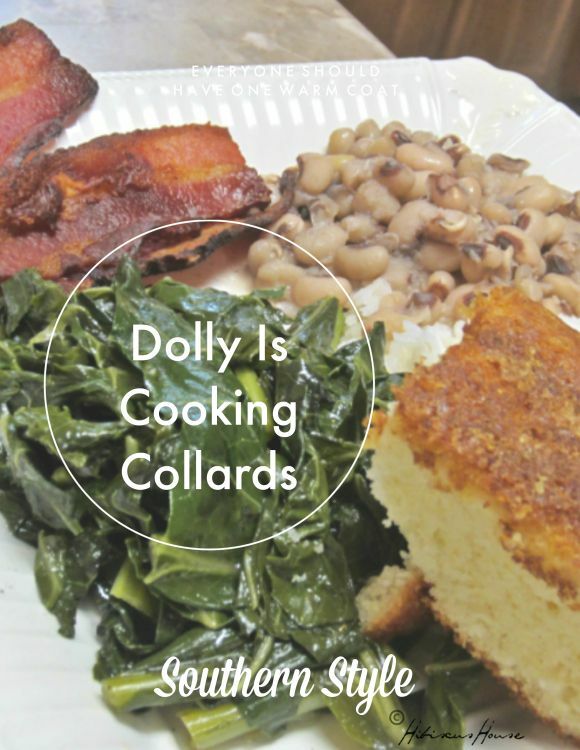 Add your collards that have been drained. Cook at medium to medium high stirring occasionally. 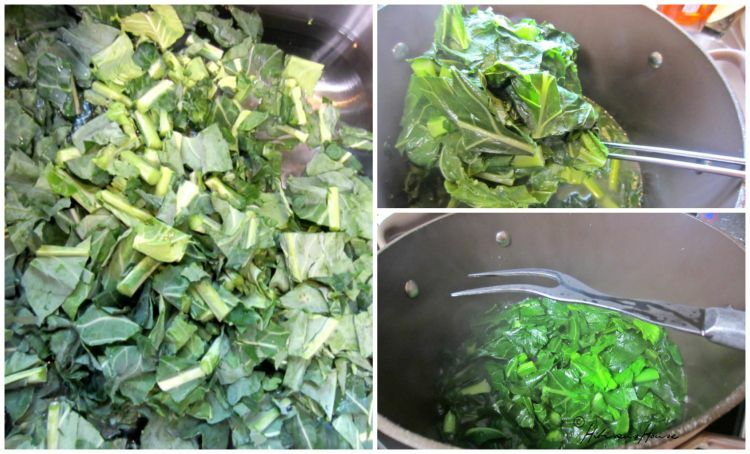 Add some of the reserved liquid from the pot if they dry out too much, to prevent greens from sticking to pan. Cover and cook until tender (do not cook too much you have another step) just until fork tender. Serve with black eyed peas, rice, a fresh baked pan of cornbread and sweet tea! Who wants some thick sliced bacon? I haven't had collards since I moved North. You can't get them here ---same with grits. I do find grits though and make them for myself. No one else in my family likes grits or collard greens...kind of sad. I'm sorry you can't get collard greens there, if you like them. One of my girls doesn't like them or blackeye peas. I'm glad you can find grits. I know how it must be if no one likes them you don't have them often. I wish I could send you some fresh. The canned just aren't the same. How are you? Good to hear from you! They are good aren't they...Thank you and Happy New Year! We're having pork ribblets with Brussel sprouts and pinto beans and that would be with corn cakes. (fried cornbread). 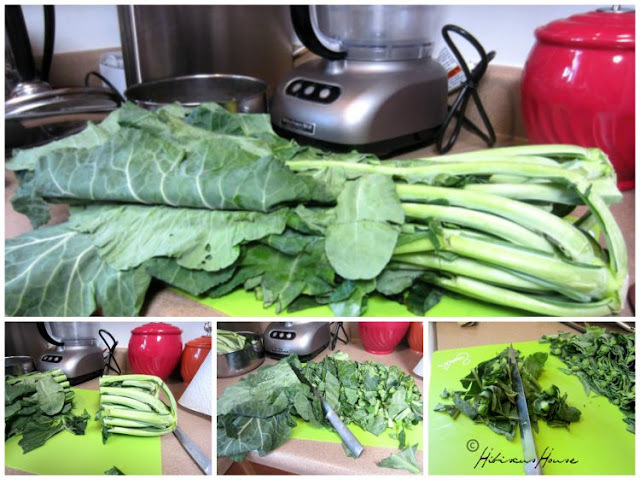 Your greens look great we don't care for collards though. We grow the curly kale. But of course it is out of season now. I'm wondering if it were cooked and frozen would it turn to mush? Happy New Year! Your menu has me licking my lips! You have your dollars, pennies, and gold in your menu as well! I love all greens myself. Isn't Kale one of the most pretty of greens? Love that you grow I need to grow some myself. I don't know about the Kale but I'll bet if you blanch and cook just slightly drain and freeze greens separately you might come up with an edible item anyway. Let me know if you do this. You probably have an amazing lot of it since you grow. We love it in salads too and my son in law John eats it raw almost daily. Happy New Year! All I can say is YUM! Your post has me hungry now! I hope you have a wonderful, wonderful New Year!!! I hope you and the family are having a great day! I know you are eating good. You're an excellent cook! Happy New Year my friend!